Russ Long takes a closer look at this new compact 24-bit, 192 kHz USB 3.0 audio interface. The PreSonus Studio 192 Mobile is a USB 3.0 audio interface featuring two channels of XMAX Class A microphone preamplifiers. The 24-bit/192 kHz device measures 1.75in high by 12.5in wide by 7in deep. Its small footprint makes it an easy addition to a laptop case or gig bag. The interface provides two front panel mic/instrument inputs (via a combination balanced XLR/unbalanced TS jack) with an additional pair of balanced line inputs on the rear panel. 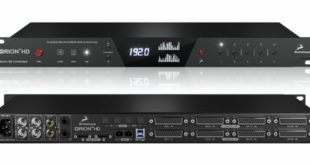 Also on the rear are six balanced analogue line outputs; two pairs of optical digital inputs and outputs delivering up to 16 additional channels of I/O utilising the ADAT protocol; coaxial stereo S/PDIF I/O; word-clock I/O on BNC connectors; power input for the external power supply; and a USB 3.0 port. The mic preamps are digitally controlled (for gain adjustment and phantom power toggling) remotely or from the front panel, adding to the interface’s flexibility. Remote control is via the included PreSonus Universal Control software or by using a DAW to send MIDI Continuous Controller messages. 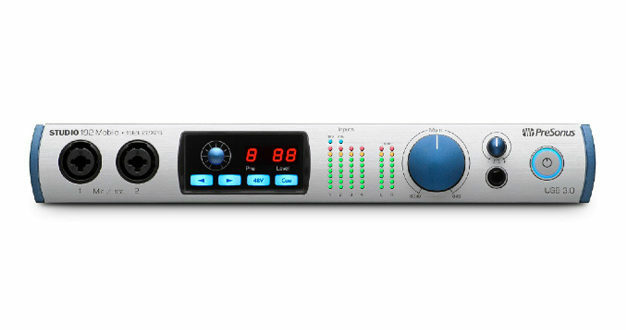 If one or two PreSonus DigiMax DP88 eight-channel mic preamps are incorporated into the system, they can be controlled as well. Its DAW control allows preamp settings to be stored with a session simplifying recall. It’s important to note that the unit’s I/O specification changes as sample rates are increased; when operating at 48 kHz, there are 22 inputs and 26 outputs. At 96 kHz, there are 14 inputs and 18 outputs. At 192 kHz, there are four inputs and eight outputs. The front panel includes a headphone output with dedicated volume control and a large master volume control. The main outputs and each of the four analogue inputs have eight-segment LED metering; channels 1 and 2 include a blue LED phantom power indicator. 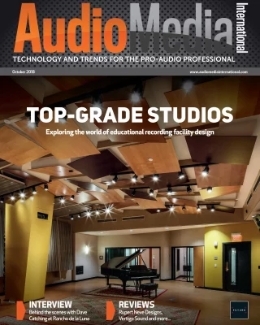 PreSonus is one of the industry’s premier companies to jump on the USB 3.0 bandwagon and has done it quite well. Harnessing the full power of the 192 Mobile requires USB 3.0 but the interface provides more than enough power for nearly any application when coupled with a USB 2.0-equipped computer. Computer integration with the interface is perfectly implemented with the Universal Control (UC) Surface application that also supports control via iOS and Android apps. Obviously designed with touch screens in mind, the application is void of menus and rotary controls, and the spacing of the controls prohibits accidentally grabbing the wrong control when it’s being used with a touch screen. Controlling the I/O with my iPad via the PreSonus UC Surface was straightforward and easy with no complex configuration needed. The Fat Channel (available on all analogue inputs and the first eight ADAT inputs) is PreSonus’ zero-latency software channel strip. It incorporates a compressor, limiter, gate/expander, high-pass filter and four-band parametric EQ. The input channels also incorporate aux bus and polarity invert functionality. UC also provides global reverb and delay built into the mixer. 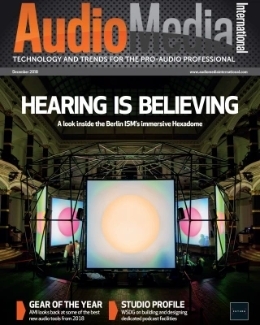 For this review, PreSonus sent a Digimax DP88 to use along with the 192 Mobile, and integration between the two is simply fantastic. 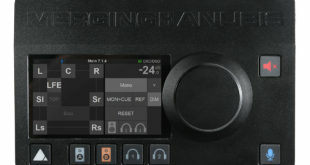 Connecting two optical cables between the two units gives complete control over the DP88 via Universal Control or Studio One. The computer sees the DP88 as eight additional mic pres and it requires no additional setup or configuration. Up to two DP88s can be connected to the 192 Mobile, resulting in 18 remote-controlled preamps. Recording through the Studio 192 Mobile/Digimax DP88 combination went extremely well. Its mic preamps are clean, smooth and natural sounding – somewhat lacking in character, but versatile all the while. 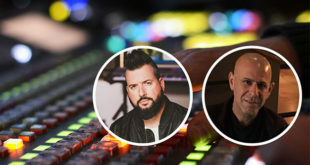 I had success using them to record drums, percussion, electric and acoustic guitars, bass, synths and vocals; in every instance, I received good results. I recorded vocals with an ADK Z-67 tube large diaphragm condenser through the Retro Instruments OP-6 tube mic pre, straight into the line input of the Studio 192 Mobile and received stunning results; this fully convinced me of the converters’ high quality. The 192 Mobile’s headphone amp sounds good. I spent several hours monitoring with a wide variety of headphone models, including Audio-Technica ATH-MSR7, BLUE Lola, and Focal Spirit as well as with my Ultimate Ears UE Pro Remastered IEMs and the sound was consistently impressive. 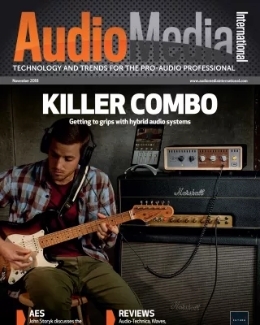 The headphone amp can provide enough volume to put a smile on the face of even the dullest-eared drummer. The metering is good and illumination spill between meters is minimal. Fat Channel processing in Studio One can be applied to inputs that are being monitored with low latency. 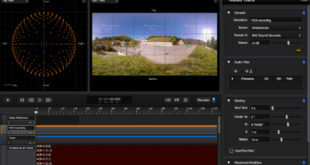 The Fat Channel can be opened, edited and auditioned from within Studio One, although the processing, in reality, is running on the DSP of the 192 Mobile. It even offers the ability to place it in either the monitor or record path. If you are only monitoring the channel, you can drag it into the main insert so you can continue to process the audio with the same settings during playback. This is simply the best integration of a DAW and interface that I’ve seen on any level. As a portable USB 3.0-equipped recording interface, the Studio 192 Mobile simply can’t be beat. It sounds good, has tons of I/O configurability and is amazingly priced. Anyone in need of a mobile I/O interface should give it top consideration, and if you are a Studio One user, this is a must-have.